What, the ship have no heat radiators? It will melt himself within a few minutes. Why would it? They use all kinds of exotic materials and thermoelectric anti-entropy nonsense generators(not really but they've got some system doing something impossible). In Star Trek the antimatter and fusion reactors are at their peak efficiency. Impossible, but there is a reason it is science fiction. Whether by your own second ship or by another player. Relying on other people in online games tends to not be a good idea. Your average player would think its funny to blow you up or cripple you even more. People in online games are jerks if you show even the slightest bit of vulnerability. You need to account for all possibilities. You know better than most, space is big. Your chances of ever being found in a 1:1 scale universe are pretty low. A respawn in nearest system after self destruct may be required. Realism in all aspects doesn't translate into very fun gameplay. Then the ideal place for antimatter collection station would be some white main sequence star with powerful stellar wind and a massive gas giant orbiting it with strong magnetic field. Possibly, but the stellar wind will still carry normal matter which will pass through the field and annihilate the antimatter. There are quite a lot of variables, even in ideal conditions. It may be possible to get a few grams from such a setup, but gathering kilograms of the stuff in a reasonable amount of time is not likely. You would be better off building large specifically designed accelerators around stars and using the energy from the star to power the facilities. You would probably be better off sticking to fusion than doing that, since you would still be wasting more of the star's energy than you would be getting out. Instead of wasting the output energy on powering antimatter production facilities you could use it for fusion reactors. They would immediately annihilate with interstellar gas and cosmic rays particles. I am not sure if you know about Baryon asymmetry. There are some solutions to the problem. A few of those solutions suggest there could be large clouds of antimatter or regions of the universe where antimatter is in larger abundance than normal matter. This could potentially be used as a gameplay mechanic. Plus the current hyperfactor functions in many similar ways to an Alcubierre-White drive. It does need some adjustments if SE adopts the Alcubierre drive. Any of the issues in the math can be patched in with fake technology, guess work, or left out entirely until a real world solution is found. You may take into account, as we had discussed with Doc, what space-bending engine would generate gravity / antigravity effects and positive / negative mass interaction effects. The amount of energy is so enormous what ship is actually don't needed another propulsion system except the warp field generator. Think of it: you just turn on the negative mass generator, and it will lift up your ship into space from a planetary surface. You may reach acceleration up to (minus) free fall acceleration of that planet. Next, if you think deeper and remember the Newton's laws, you would see what a system of connected positive and negative mass would accelerate infinitely. The reaction force of a negative mass pushed by positive one would be pointed in the reverse direction of a pressure, icnreasing pressure and acceleration infinitely. Such propulsion system wouldn't violate the momentum-energy conservation law, because total (inertial) mass of the system is zero. 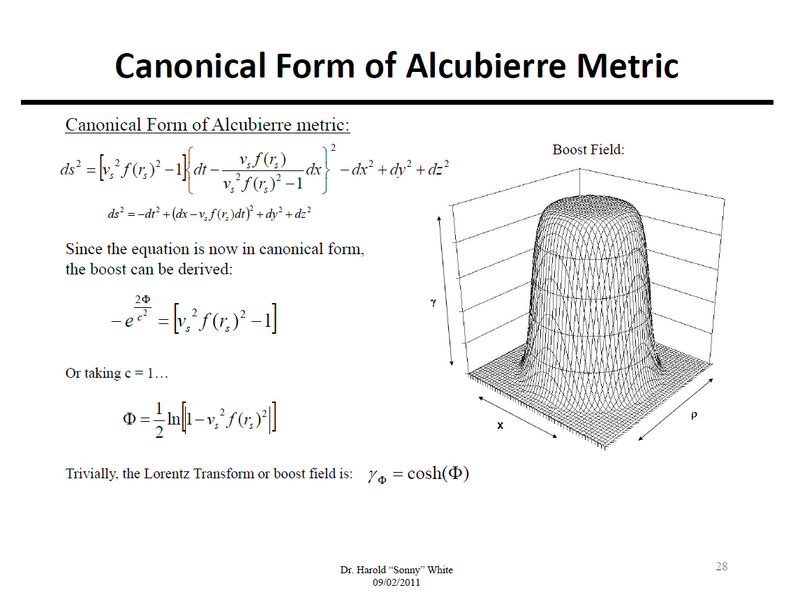 So, Alcubierre drive is actually the UFO drive. Without some artifical limitations, this will break the "game rules" as schwarzwolf said. For example, using warp fields must be prohibited near the planets. The tidal forces of the external parts of the field may rip apart the planet, or at least make enormous destructions. 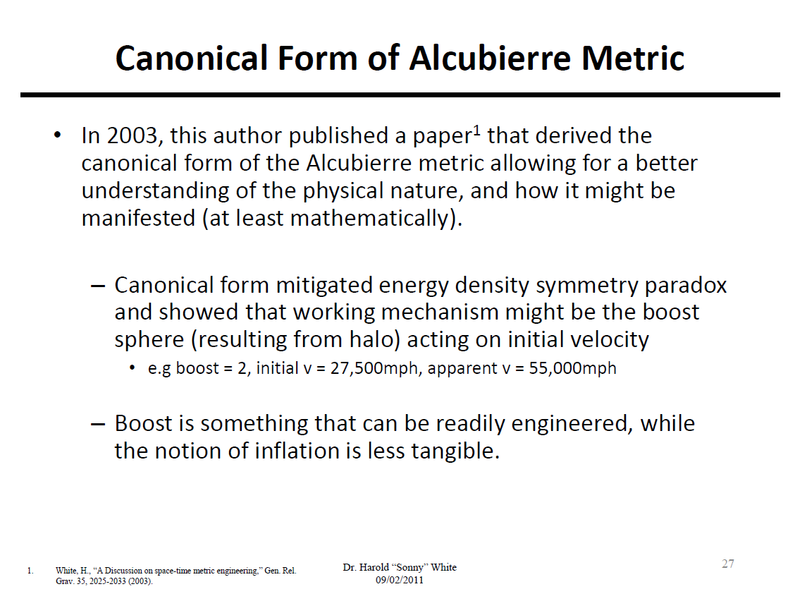 The second reason against Alcubierre drive is energy requirements. The reactor capable to charge the rings may be simple impossible. Even with 99.999% efficiency, it must have a city-sized liquid natrium radiators. The ship can't carry such huge radiators, so it must use external reactor that charges the warp rings. Some sort of a launching pad system. This is completely breaks up the gameplay again, because it is an analog of a star gate, that splits the game universe into a fixed locations. No free space exploration is possible there. Yes, but that must give observable evidence, like high-energy gamma rays. This is not observed, so antimatter in large quantities is not exist, at least in the observable Universe. The amount of energy is so enormous what ship is actually don't needed another propulsion system except the warp field generator. This is not true if we go by the revised version of the drive that requires an initial velocity. You can click them to view the full image. For example, using warp fields must be prohibited near the planets. The tidal forces of the external parts of the field may rip apart the planet, or at least make enormous destructions. Not true, at least partially. In very low intensity fields there would be little to no chance of any destructive effect on nearby planets. The field also has pretty strict rules of operation and ideal conditions are in the vacuum of space, flying through an atmosphere or thick clouds of gas may destabilize and cause the field to collapse. distance d, where spacecraft is brought to stop relative to earth. Funny you should say this. When you examine the equations and problems with wormholes and warp theory and the lack of evidence for exotic matter you are pretty much dealing with "magic". Would be cool to see magic we can cast into the game. But think this wouldn't be duable, otherwise we would enter the realm of trying to put everything what is in another game already in one game, what would be a thing not doable without self programming games. Thx for linking this. I aswell tought a lot how such an engine could work in the atmosphere. A to large space warp would be problematic in an atmosphere and near a planet. So i first tought about riding on electric fields of the planet. But this doesn't exist by all planets. Will still have to read the full text on the site. LOL. It will shine like a sun on orbit. It may be used to warm up Mars or Galilean satellites smile What, the ship have no heat radiators? It will melt himself within a few minutes. Each player simply will have many ships, with ability to directly control any of them (using FTL communication system). Or he may send "mayday" signal and wait for help from another player. Yes, but most likely not at the beginning or in the single player mode. Ok, its possible to reload in the single player mode, but at least for the first days of the online game, there should be some npc force to the rescue. Possible from earth. For the single player mode, some additional modes could be aswell nice. Like a normal mode, where you start exploring from earth, one where you have to flee from earth, possible because it is for distruction (Complete clean start). No, rescue mission would be a great gameplay feature. Whether by your own second ship or by another player. Indeed. Aswell one of the reason for my idea of med sized ship, who can hold the FTL speed, but can't enter it on their own. Would make nice for rescure missions. Intresting could be aswell some kind of modul ships. Medium sized ships, who can connect to one large mothership to enter the warp and then seperate at the target to explore the system as few smaller ships. Then the ideal place for antimatter collection station would be some white main sequence star with powerful stellar wind and a massive gas giant orbiting it with strong magnetic field. We have to design the scheme of such a station. This actually sounds very intresting. There are some stars already known with this constellation. So it seems not to be to rearly. And building such a station could be some kind of challenge. I like it. The idea could be, that the players would get a large reward for rescue another player, from some fondation. Of course there should be some NPC force (from earth how mentioned before), who will aswell fly out to safe the player, what would take a bit longer, but would happen, if nobody comes by. Peoples could make so money by rescure missions, if they are fast enough. The communication could work with the wormhole system. But it would have to be aligned to some communication array. So you possible could have the choice, if you want to send it to a known station around from other players, or you could send it directly to earth and decide, if you want a rescure ship from earth (would take longer, but is more safe), or a bulletin announcement, to all ships in comm range (would be eventually faster, but aswell riskier, because it could be a player, who want to shoot you). Emergency pods shouldn't be targetable. And yes, KSP is planing space travel aswell and thats aswell the way they are doing it. Ok, there the feld wouldn't rip appart the planet, the planet would destabilize the field and the ship will be destroyed. But i know that the destruction of the planet could be a problem by the Alcubierre drive theory. At least with the knowledge we have today. Yes, thats similar to the idea i had. Only motherships can create their own warp bubble, but a smaller ship (medium sized) could sustain it. Then you need some Gates to charge the rings of the smaller ships, who can travel between stars in a lower speed and you will have some rescue mission aswell, if one ships get a problem and drops out of warp between the stars. Free explorations would be done with the large motherships, and medium sized ships would transport between colonies (what could be done from motherships aswell). In my dreamery about how space travel works (Yes, i use some Alcubierre style engine most time aswell), i often use the term of space warp what factor the space is warped and i tend to use a minimal speed necessary to enter the warp, where speed and space warp is higher as light speed (For the easier way, but ships could only have a very low top speed like 10.000 c with the field, otherwise it could enter it even by 1 km/h or 1 mi/h), or a system, where the ship has to accelerate up to near lightspeed (most time 50% c) to be able to enter the warp effect with lowest possible power consumation. But i aswell have never tought about activating the engine by standing around. Ok, by thinking about it, its aswell like this by most games who using such an engine. But i tought about it not only from a game like wise. So possible that a ship should be in need to accelerate few minutes first until it can jump. Yes, an idea would be, that the field will be weakened by a near planet, until it collapse. Would be better gameplay wise. Very advanced systems could possible substain the field on a low force near planets and in atmospheres. But this would be of course the UFO system, what should be restricted gameplay wise. superluminal engines use energy (e.g. electricity) from the main generator ("core"). 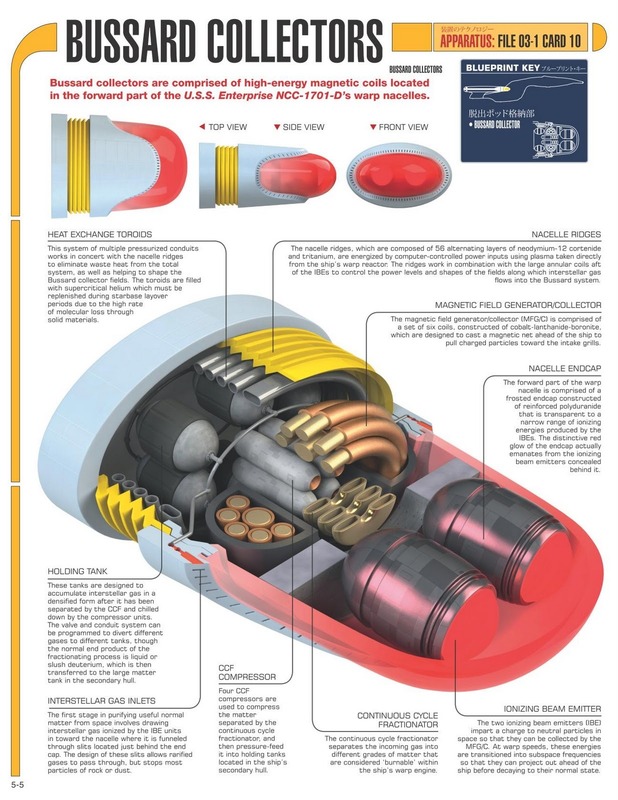 The proposed core is to be a "vacuum energy converter" or "zero point module". My suggestion from earlier still stands. Early players single piece FTL system would be the thick rings, these thick rings could have a primitive ZPM device inside. Later stages of the technology start to move those ZPMs or more advanced ZPMs into the center of the ship and rely less and less on the external rings moving towards thin rings, collapsible rings, and other structures. Doing this method would allow the use of Alcubierre drives, realistic ships to an extent, and still allow a path of freedom in ship design and advancement. The ZPMs would solve the problem of energy by injecting a bit of fiction into the function of the drive. ZPMs or vacuum energy generators would only require a small amount of electrical energy to charge them up and would directly affect space, giving you the space warp effect without the abhorrently restrictive high energy requirements. A vacuum energy generator drains energy from the vacuum around it, the energy density in space falls down, and organizes the flow of energy from the surrounding areas of the generator. Therefore, in the first moments the core gives more power, which gradually decreases and stabilizes at a certainlevel, such as 1% of the maximum level. But when the ship jumps away, it finds itself in a"fresh" area of the vacuum, where the core may reach the maximum power output again. Your concern over the energy problem is already solved by the current hyperdrive proposal. 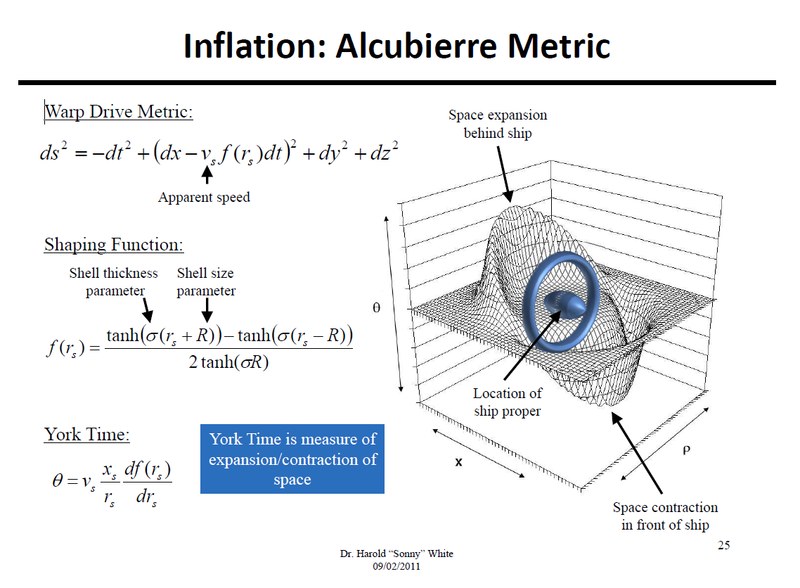 If you understand the basics of the above slides you realize that the function of the Alcubierre-White is already close enough to the current system to make the appropriate changes with minimal adjustments. In summary, to perform the hyperflight, the ship should be accelerated to escape velocity to leave a planet or star's gravitational field, and to compensate for the speed difference between the departure and destination planet/star. So, flying to nearby stars require about 30 km/sec, to accelerate the ship with 10 G acceleration would take 5-minutes. The hyper-flight itself takes only a few seconds or minutes. A trip to the other side of the galaxy requires about 500 km/s, as the velocity of stars around the galactic center is about 250 km/sec. 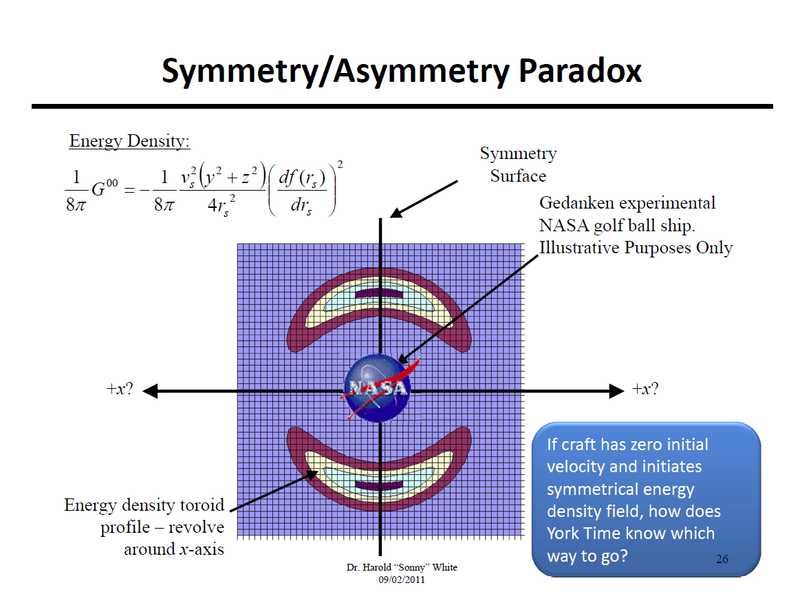 This is fairly close already to how the "boost" field around an Alcubierre-White drive would function. 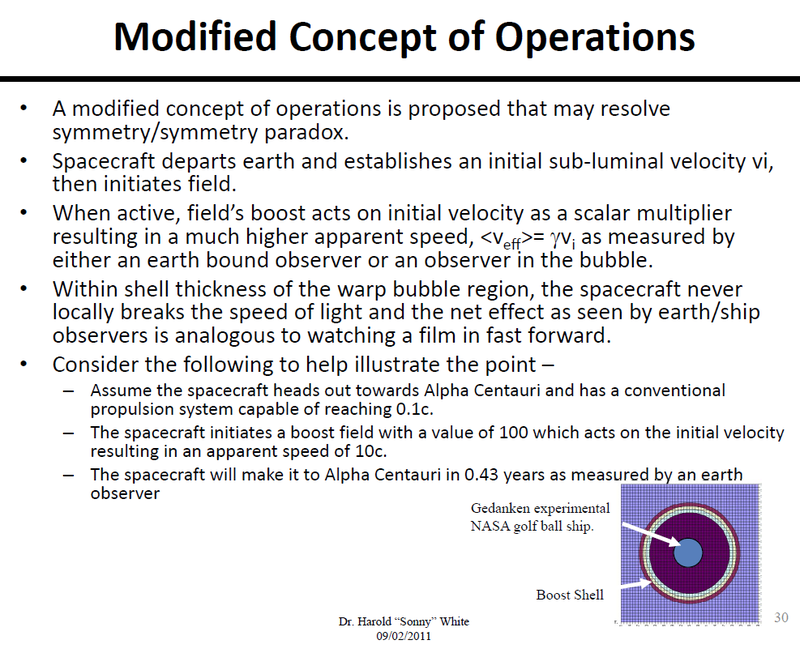 The drive would require an initial velocity to get away from the planet you are at, the use of conventional propulsion systems, then the field would be turned on and the effect on space by the field is multiplied by the velocity of the ship. From what I can see it isn't a big leap to go from where you have it now, to a more realistic functioning drive. Hmm, i am from one point against this, because i think it could break the gameplay elements of having a fusion, antimatter or zero point module. 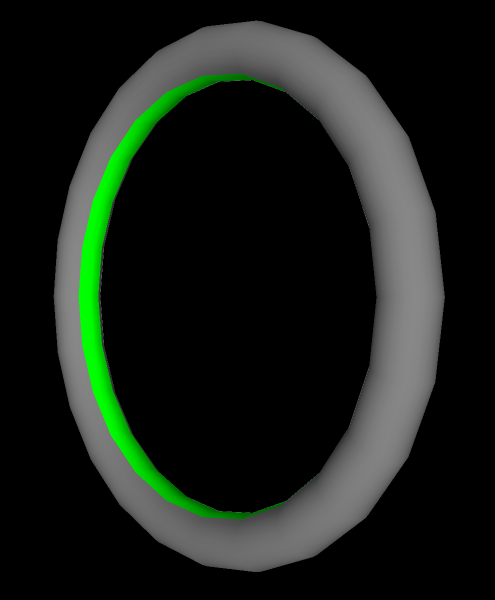 But from another point of few, i think the zero point concept in the rings would be possible a necessity. So there must be indeed such a effect in the ring or the alcubierre drive. Possible, that the engine is creating a zero point effect while driving and that it only needs a stronger inertial power and that the reactor would keep the effect running. This would explain, why a fusion rector can create such a power to keep the engine running. The primary zero point generator inside the ship would only create energy and would work a bit differently. The initial power up energy could aswell fall of as larger the ring and the ship is. This would explain, why motherships can jump, but smaller ships aren't able to jump on their own. This would aswell give a open way for smaller trade ships, who can only jump with such a jump help ring. So best would be a hybrid concept of both of them. 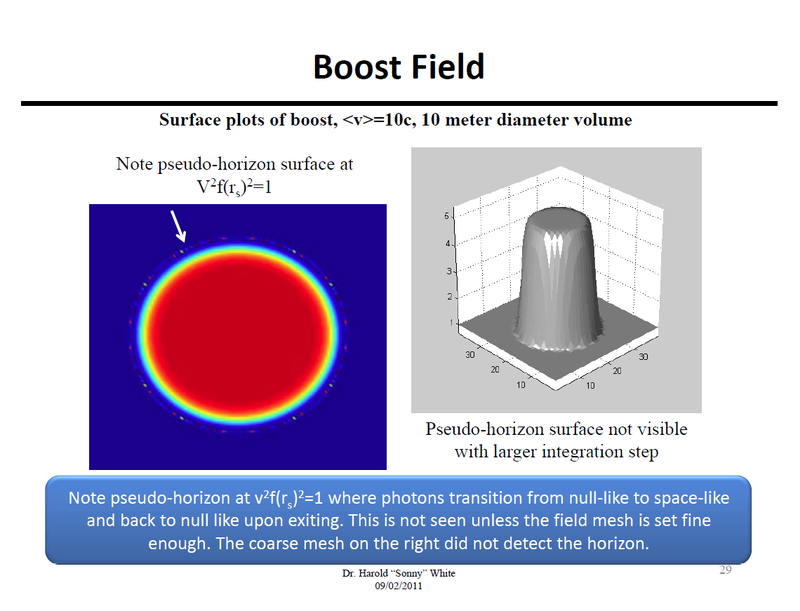 The field could aswell be a explanation for a stronger protection against particles, asteroids, etc. in space. By high velocities, i doubt, that even the shield could protect the ship. but such a strong field would do the job. Aswell flying always with extremly high speed could be a bit difficult for gameplay, if we wouldn't use the most speedy engine possible. Of course flying with near light speed should be possible. Even when the ship goes boom because of the stuff drifting in space. I would possibel use a warning concept from the main computer and not a restricting everything, what could be dangerous. If the player ignores it. His fault. I have this idea for a general purpose heavily shielded station that could be placed just about anywhere to maintain a human presence in a system or around a planet. There are no windows to break here; the thing is shielded like a fortress to repel large amounts of radiation. Also, I think it would be a good idea to start discussing ideas for space stations, where there is far more design freedom. Another idea, you could create small collapsible stations which detach from a larger spacecraft and are placed in orbit. If you're going to be exploring a new planet, you could place a bunch of them in orbit to create some sort of temporary local infrastructure. I don't have much more to offer in regards to the previous discussion on FTL propulsion due to how early in development SE is, but I do have some suggestions on improving the Hyperdrive and ships for the next version of SE. I did find an interesting article about antimatter production. Perhaps it could be of some use in figuring out ways to implement the use of antimatter. A Plasma Magnet concept for capturing antimatter trapped in planetary magnet fields consists of a relatively small (10-100 meter) four-loop antenna situated within a neutral plasma. By supplying current to opposing loops with a relative phase difference, a rotating magnetic field (RMF) is established near the antenna. The RMF is operated at a sufficiently high frequency so as to elicit a response in the electron population, while the motion of the proton population (due to their relatively high mass) may be ignored. The resulting current due to the electron motion sustains a large-scale magnetic field within the plasma. The principle driver of performance is the RMF antenna’s ability to influence the electron population; the more electrons driven by the RMF, the stronger the resultant magnetic field. We can quantify this by establishing a magnetization criterion, and determining a penetration depth for the RMF that will depend on (i) the antenna coil radius; (ii) the antenna operating current; and (iii) the temperature of the bulk plasma. Overall antiproton collection rates exceed micrograms per year for typical systems that are just 100m in size while drawing just a few hundred kilowatts of power. 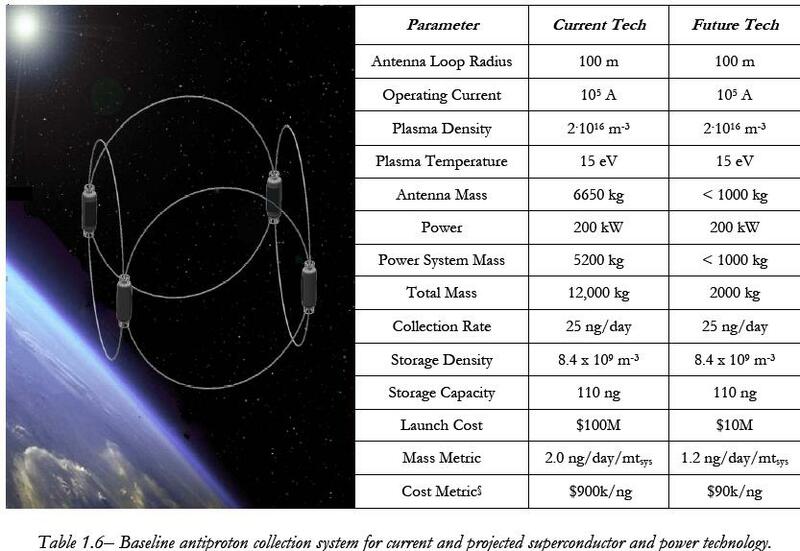 This implies that the complete device could be inserted into its operational orbit with a single launch. Nuclear fusion or any larger power source that can be put into space combined with superconductors will enable antimatter production that can be 100,000 to one million times more efficient in terms of cost than earth based systems. * A $50-100 million system with 200 KW of power using current (or conservatively within four year technology) could produce several micrograms of antimatter each year. *A one gigawatt power system inside of an earth orbiting superconducting traps could produce 95 milligrams of antimatter per year. Antimatter could be used to enable super high performance space ships. Perhaps an extrapolation on efficiency and technology could be made to enable some basic form of antimatter production. However relying on antimatter as the sole fuel source in SE would be a bad idea. A hybrid system similar to Star Trek may be the best option. Hydrogen collection facilities, helium 3 collection facilities, and antimatter collection and production facility designs would be interesting to see. I had a similar design idea about a habitat station, but with another approach. The best habitat station would be of course a large rotating ring. One of the reason it is used most time. My idea would be, to have it open on the upper side. Of course there would be a solid shield who can be pushed over the windows. I think there about a system, where 2 hatches are placed on the backside of the ring. If some danger occurs, they can by closed over the window side. In the central side, there is a tube with mirrors on the each side and inside the tube. The mirrors are directing the sunlight into the tube, who is mirrored in the inside aswell. Then the mirrors directing the light into some emitter who is rotating. With the right timing, the emitter would always focus the light at the half of the ring inside and would rotate in a 24 hour circle. This could simulate a day circle with sunlight. Edit: Hmm, yes i found a problem in my thinking. With such high speeds, the particles could become a problem again. So the only reason would a gravimetric shield by high speeds from the Alcubierre drive, so it would have to be active and used as gravity engine, or we have to stay by the extreme strong warp fields for high FTL speeds. Intresting. Seems to be easier to produce Antimatter as tought. Could be intresting to have thousand of such devices. Or a larger station with a way higher output. My thinking aswell. Who already mentioned, there should be multiple different reactors in the game and a ship should be able to carry more as one reactor type aswell. A antimatter powered ship should of course have some fusion reactors or zero point generators as emergency power. A antimatter reactor is aswell dangerous. By damage, it might be nessesary to shut it down. So a ship without another reactor would possible lose all power then. And for maneuvering, fusion engines could be better. Antimatter would only be, if you want to go fast. And near a planet it could be aswell better to disable the antimatter reactor and switch to fusion power (for safety reasons). One of the reason it is used most time. My idea would be, to have it open on the upper side. Of course there would be a solid shield who can be pushed over the windows. I think there about a system, where 2 hatches are placed on the backside of the ring. If some danger occurs, they can by closed over the window side. I'm not sure I understand exactly what you mean by "upper" side. Are you referring to the outward facing edge of the ring or the inner facing edge? Either way, you can't just have any part of the ring open or directly exposed. If you're thinking about the movie Elysium, understand that this movie was not 100% accurate; the design of the station could not of been open as shown in the film. It was only like that because the plot needed it. Regarding hatches on the outward facing edge (if that's what you mean by "backside"), I'm not sure what open hatches would accomplish. However, if you're going to have sort of hatch like this I think emergency evacuation shuttle bays on the outer edge of the station would be a great idea. It's the only thing that makes sense to put here since there's no easy way to get back into the station through such an opening. In the central side, there is a tube with mirrors on the each side and inside the tube. The mirrors are directing the sunlight into the tube, who is mirrored in the inside aswell. Then the mirrors directing the light into some emitter who is rotating. With the right timing, the emitter would always focus the light at the half of the ring inside and would rotate in a 24 hour circle. This could simulate a day circle with sunlight. It sounds like you are just describing something similar to a Stanford Torus, but I'm not 100% sure what you mean. The reason a Stanford Torus has mirrors is because they reflect visible light while stopping radiation like cosmic rays. Its a way of getting light directly from the sun without any direct exposure to it. If you have a smaller ring structure rotating inside and independently of the ring or tube (so they are concentric) you could have one half of it blocked off by shielding. Then, just spin it at a rate of 1 rotation per day and presto: you now have artificial days and nights in your station. Something similar appears in Larry Niven's Ringworld novels (the "shadow squares" orbiting closer to Ringworld's star). I mean the innerside of the ring, what is above for the peoples inside it. And open wouldn't be the right word, for what i meant. There would be of course some kind of window. So open in the term, that you can look inside/outside. Sunlight is provided to the interior of the torus by a system of mirrors. The idea was, to avoid the need to rotate the stations to the sun and with the sun. But yes, to protect for the cosmic rays would be an idea aswell. One problem by rotating it by only 1 rotation by day would be, that the ring has to be very very large. how long would it take without speeding the time up to get to 50%. I already played something like this in Space Engine with a 100g ship. This takes long. Extremely very long. Days with 100g when i managed to calculate it without an error. This is not an issue considering ships in SE will not be able to go 0.5c. If you read the main post of this thread you will see that ships will only be going 10s of kilometers per second like the example of 500km/s and only accelerating with a max of 20 Gs. If you want ships that can accelerate to 50% the speed of light or up to the speed of light then open console and type in UFO to enable unlimited acceleration. My suggestions also has a fix for ships being too slow, just increase the maximum from 1•10^9 to something like 1•10^12 which would be more than fast enough to explore the entire Milky Way and our local group within a reasonable amount of time. This would all work with a max speed of 500 km/s and would work even better if ships could accelerate to 1000km/s. Being able to go fast has nothing to do with it. The recommendation for antimatter could be for charging up capacitors and turning on the FTL system. The rest of the ships power would come from Fusion. Antimatter would be in such small supply it would only be used where quick bursts of large amounts of energy are required, beyond this you would just store it and keep it in case of an emergency. Perhaps ships and stations could have built on collectors that scoop up stray hydrogen and stray positrons that are floating in space. I mean the innerside of the ring, what is open for the peoples inside it. And open would be the right world. There would be of course some kind of window. So open in the term, that you can look inside/outside. As far as a Stanford Torus goes, there are two tori. The inner torus contains the colony and people and everything else. The outer torus is a giant shell surrounding the inner torus, the purpose of which is to shield the torus from radiation. These two tori are not connected. As you can see, all windows on the inner torus are overlapped by the mirrors on the outer torus. The inner windows are always protected. You can still look through to see the inside or outside of the torus, but your view will be "fragmented" because of the mirrors. You can't just have giant windows on the inner side of the torus without any protection. Too much radiation will get through, and it is far too risky in the long term. Keep in mind that stations like this should ideally operate for several decades, if not more. That's 10+ years of light and radiation from space continuously hitting the windows on the station. 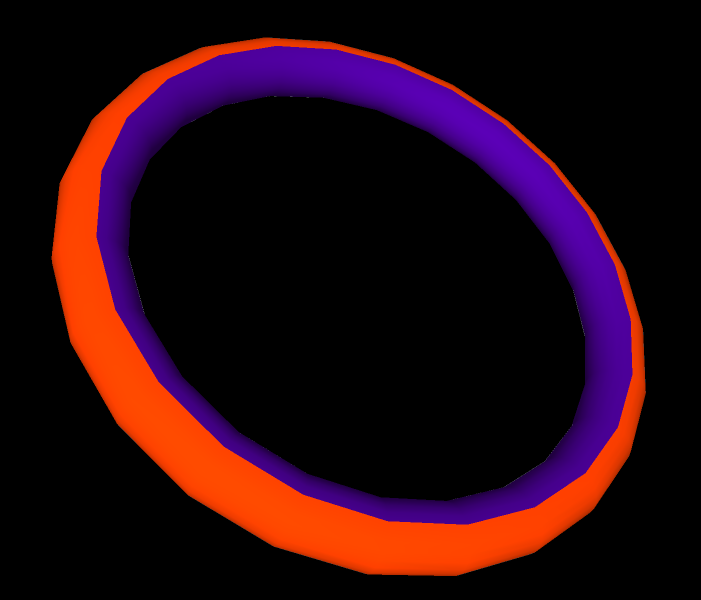 One problem by rotating it by only 1 rotation by day would be, that the ring has to be very very large. Rotation speed has nothing to do with size. 1 RPD just means it rotates very, very slowly. And yes, having a larger speed would possible lead to a problem regarding (micro) asteroids, etc. But slower speeds would be a problem, that you will need a way higher warp factor. Well both things are a difficult thing. But yes, i would go with the speed limit of 500 km/s here. Would aswell be easier from a gameplay point. Yes, i mean not fast, i mean short high aceleration impulses. Speed is relative and over time everything can become fast in space. But i still think, we should be able to create ships only with antimatter reactor or only with zero point modules, if we want so. With implementation of the already mentioned engines, it would be possible. Of course it would be doubtful if such a ship would have the highest effectivity. And you would need a lot of antimatter collector facilities to get enough to power a ship only with it. The question is, how large such a collector must be to power an engine on an effective way. Yes, this sounds aswell nice. And what is, if you want a 1g gravity inside the ring?